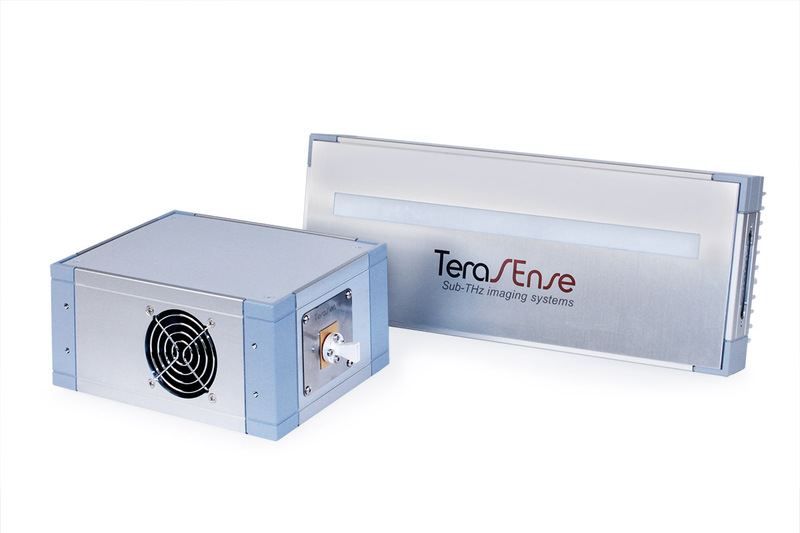 The 300 GHz linear scanner is our next step forward in high-speed THz imaging. The scanner bridges the gap between the extremely high imaging speed of linear scanners (5-15 kHz) and unprecedented spatial resolution arising from 300 GHz imaging technology (0.5 mm). 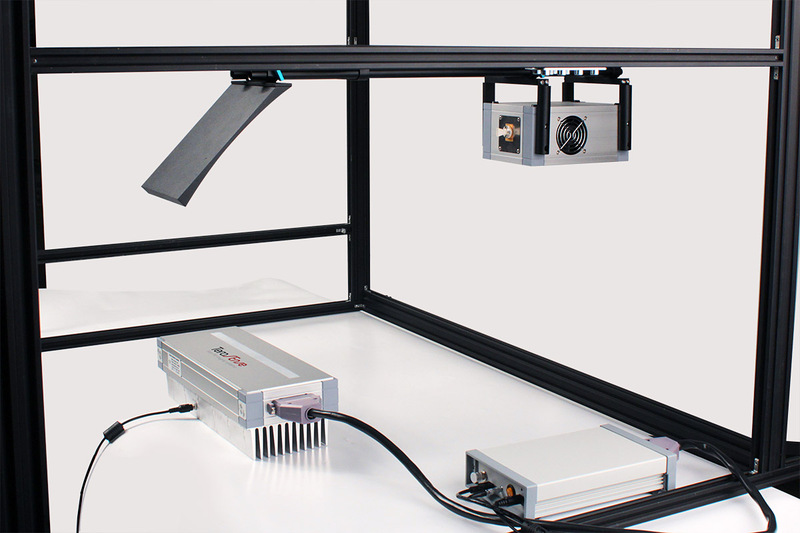 The linear camera is easy to integrate in conveyor lines or other mechanical scanning systems, being a convenient and flexible tool for non-destructive testing and imaging of various materials, both in laboratory and industrial environment. The 300 GHz linear scanner consists of the following parts: (1) main camera unit, (2) camera's controller / interface unit that can be customized for OEM developers and (3) 300 GHz source. Each of the camera's pixel specs is optimized to ensure the maximum sensitivity at 300 GHz. The camera has both internal and external synchronization features. While the internal synchronization allows to operate with an externally modulated source to reduce the noise and improve image quality, a long-awaited external synchronization feature allows the camera to shoot frames at precisely determined timepoints, synchronize it with any other equipment used in the testing line, and, in combination with an external rotary encoder, makes it possible to automatically comply with variations of conveyor belt speed.